HD’s Outstanding Warranty Protects Your Dallas, Fort Worth Area Property. Enjoy a lifetime foundation repair warranty in Dallas, Fort Worth, Arlington, Plano and the DFW metroplex. It safeguards your house for years to come. What Is HD Foundations’ Lifetime Foundation Repair Warranty? It’s a guarantee that protects your house in the event that it needs future foundation repair service. HD Foundations’ warranty applies to those specific areas of your concrete slab foundation or pier and beam structure where exterior foundation piers were installed by our company. To find out more about our guarantee, general terms and conditions, please contact us. HD Foundations also offers a transferable foundation warranty. It’s a special warranty that can be transferred to a future owner. If a homeowner wishes to transfer a foundation repair warranty to the person buying their home in Dallas, Fort Worth, Arlington, Plano or the DFW metroplex, there’s a relatively small one-time warranty transfer fee. How Much Does The Lifetime Warranty Cost? It’s absolutely free to homeowners in the DFW metroplex. If you have foundation trouble, schedule a free foundation estimate online today. 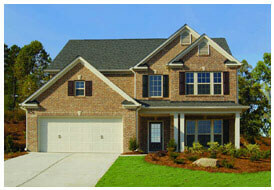 We’ll evaluate your home and tell you more about our free foundation repair warranty. Dallas, Fort Worth, Arlington, Plano and the DFW metroplex homeowners can just call 817-226-7221. We service the entire DFW area including Irving, Grand Prairie, Garland, Carrollton, Euless, Colleyville, Mesquite, Euless, Richardson, Garland, Lewisville, Mansfield, Frisco and other area cities.